Spring harvest 2nd flush. 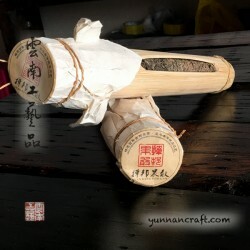 Gently sweet taste with touch plums reminding an autumn tea because of the huang pian. Just slightly different from the 1st flush we also offer. No bitterness or astringency and the taste is really close to typical Lincang small arbor tree tea. Вложите в корзину чтобы увидеть бонусные баллы. 440 .. . 440 . . CNY 22.00.